If you are interested in helping to spread the word about Fast Home Help and our mission, you have come to the right place. We appreciate any and all support, thank you! By liking our page on Facebook, you help to show people that we have a loyal following. It also sends a signal to the search engines that a real person approves of our business. Such “social signals” are becoming increasingly important elements of search engine algorithms. Your Facebook like will also allow you to receive our updates in your newsfeed. If you do not have a Facebook account, you can find information about how to sign up here. Try it, Give Our Facebook Page a "Like"
In the beginning of "SEO", when Google itself was just an idea, search engines used links from one website to the other as a way to rank sites against each other. If you had more links to your website, you had more "votes" and therefor were seen as a more trusted resource. Liking our website is a new way to give our website a vote and in some ways is more powerful than a link. A recommendation on Facebook is like a positive review. The more positive reviews we receive, the more trust we will generate with our audience. We will work hard to earn and live up to every positive review we receive. Currently, Facebook recommendations are not widely used; however, we would like to lead the charge toward changing that. Facebook is attempting to take advantage of this fact through graph search, a tool that Facebook hopes will compete with Google as a means of searching the Internet. Graph search analyzes your friends’ likes and recommendations and returns results based on their preferences. Let’s say that you use Facebook’s graph search to search for a Mexican restaurant in your area. It will return results for restaurants that your friends have checked into or mentioned in their Facebook posts. It may even return photos they took in those restaurants. Pretty cool, huh? In many ways, following us on Google+ is similar to following us on other social networks. Unlike those other networks, however, Google+ allows you to control which of your circles you add us to. This ability solves a dilemma that has always existed with Facebook (“I don’t want to add my mom as a Facebook friend because I don’t want her to see certain photos”). With Google+, you can decide whether you want to share us with any or all of the circles you have created (e.g., friends, family, coworkers). Once you follow us, you will receive updates that we share with people in our circles. When you +1 us, you are essentially giving us the Internet equivalent of a thumbs up. 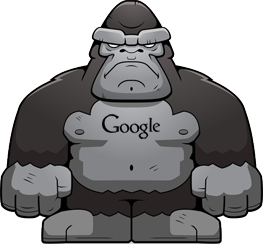 Google has traditionally viewed links to a website as though they were “votes” in a popularity contest, with votes from reputable sources carrying greater weight than others. In the social environment, Google treats a +1 as it would a link. Give our homepage a "+1"
Google+ represents Google’s attempt to assert its superiority over social media, and the search engine behemoth has adopted a hard-line philosophy of “You’re either with us or against us.” In fact, Google’s CEO Eric Schmidt was recently quoted as saying that “the price for not being part of Google+ may be irrelevance.” Conversely, Google is rewarding those that participate in Google+. For example, websites that are associated with Google+ via Google Authorship have a clear advantage over those that don’t in Google’s search engine rankings. The influence of Google+ over Google's search engine results are beginning to run even deeper than that. If you were to search for “Mustang,” for example, Google will analyze the preferences of the people in your various Google+ circles to determine whether you are more likely to be searching for the car or the horse. If you have a lot of friends in classic car clubs, it will rank results for Ford Mustangs toward the top. If you have several friends that are horse breeders, however, it will favor results relating to the horse. There is a reason we are especially grateful to people who are willing to support us through their Google+ accounts. If you don’t already have a Google+ account, you would be wise to get on board as soon as possible. Here’s how. Similar to liking us on Facebook, following us on Twitter sends a very important social signal to the search engines and helps to increase our profile among other prospective followers. People who use Twitter are more likely to trust the information coming from a feed that has a lot of followers. The more followers we have, the more followers we will attract. By following us, you will also receive Fast Home Help updates through your Twitter feed. If you do not have a Twitter account, please visit Twitter Support for information on how to sign up. 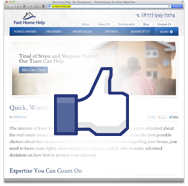 Tweeting about Fast Home Help will help to spread the word about us to your network of followers. Our hope is that your friends will choose to follow us, and then re-tweet your message about us to their friends, and so on. Share this page, with a tweet! A lot of people who have Twitter accounts are too young to remember the commercial; in fact, many of them probably don’t even know who Heather Locklear is! (No offense if you are old enough to remember the 80s – we are, too.) Whether you remember the ad or not, we invite you to check it out and marvel at just how eerily Faberge summed up the concept behind Twitter long before the Twitter bird had even hatched. LinkedIn is generally thought of as the social network for businesses. It might help you to think of it as a sort of 21st-century Rolodex. By following us through LinkedIn, you once again send out an important positive social signal to the search engines as well as your network of professional contacts. We will appear in your Rolodex and hopefully those of your peers and colleagues. By following us, you will also receive Fast Home Help updates via your LinkedIn newsfeed. For information about how to create an account, visit LinkedIn Help. Recommending us on LinkedIn gives you yet another opportunity to say something positive about us. Feel free to use exactly the same recommendation you used to recommend us in Facebook (isn’t copy-and-paste great?). The issues raised by including duplicate content in most websites are not applicable to social networking sites. With LinkedIn, you can share a website, very similarly to Facebook & Twitter. Share the Fast Home Help Free Cash Quote and Property Privacy Audit with your network of professional contacts to help spread the word. Share our homepage on LinkedIn! By joining our Fast Home Help LinkedIn group , you will be able to network with real estate professionals from throughout the country, participate in lively discussions, and promote your latest projects. Joining our LinkedIn group is a simple way to support Fast Home Help while expanding your own professional network. Pinterest is a social networking website that lets you share content such as images and video through virtual pinboarding. By following us on Pinterest, you are once again sending a social signal to the search engines. If you don’t already have a Pinterest account, you can create one using the option to connect through Facebook. Then you simply hover over your name in the upper right-hand corner of your Pinterest page, select “find friends” from the drop-down menu, and select Fast Home Help from the list of your Facebook friends that appears. On our Pinterest page, like one or more of the “pins” (images or other content) that we have posted. You can even add the pins you like to your board by “re-pinning” them. You will also have the option of sharing our pins via your Twitter account; when you click into a pin, sharing options will appear on the right side of the page. Simply choose the Twitter option and tweet away! If we have been able to help you and you would like to provide us with a testimonial that we can use in our website, please send us a message. The best way to get into the good graces of a business or individual with a project is to lend your support using the methods detailed on this page. The more you support that business or individual, the more likely you are to attract positive attention to or receive similar promotion of your business or project. If you have a business or project you would like for us to promote, please let us know and send us a message.